Vietnam has a massive 3260 km of coastline, much of which is un-dived. 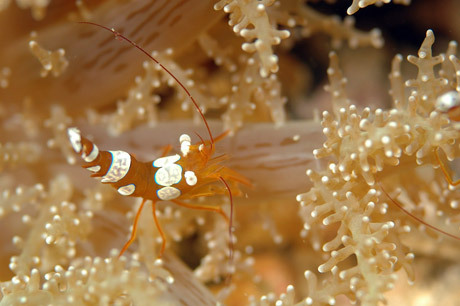 As Vietnam is a relatively new destination for divers there are many areas of unspoilt diving. One place where divers congregate is the beach resort of Nha Trang, and its nearby islands like the marine reserve Ho Mun. Another marine reserve, and widely reputed to be the best diving in Vietnam, is Con Dao. This archipelago of 15 islands is around 180 km from the mainland. The driest time to visit Con Dao is from October to January, though the seas are calmest from February to June. You can dive Vietnam all year round. Most divers go from March to October. Water temperature is warm throughout the year. January is the coldest but even then sea temperature never falls much below a comfortable 24oC. During June the temperature can reach nearly 30oC. "Nha Trang is the traditional home of diving in Vietnam. Famous in the mid 90’s as a diving destination and the Government embraced the sport in 2003 by establishing a Marine Park protected area on the Island of Hon Mun. Around a 40 minute cruise by boat, the Island offers fabulous scope for long dives with great macro life. " " Probably the best quality hard coral reef in Nha Trang, Bay, Table Corals, Gorgonians, Nudibranchs, Pufferfish, Moorish Idols and Batfish. Hard corals from 2 -14 meters. Maximum depth of 23 meters." " Excellent for diving and snorkelling. " " Nice dive site. Many colorful fishes. " "Madonnas Rock - wow, wow, wow. I went with new shop Nitrox Junkies"
"Swim throughs, caves and tunnels, Hard and Soft corals, Octopus, Barracuda, Unicornfish, Surgeonfish, Cobia, Rays. Ideal dive site for Deep, Multi Level and Peak Performance Buoyancy dives. Maximum depth of 28 meters." " Good site with big moray and many corals. " "Superb quality hard and soft coral reef with sloping wall, two resident Giant Moray Eels, Honeycomb, White eyed and White mouthed Moray Eels, Lionfish, Flying Gurnard, Clownfish, Sea Horses, Anglerfish and Sea Pens. Ideal for divers of all certification levels. Maximum depth of 18 meters." A good place to see manta rays. 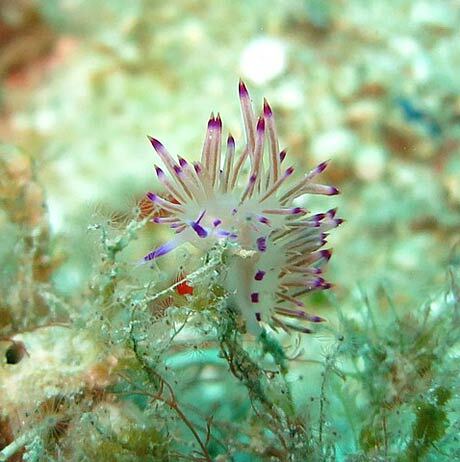 If they are not around there are the beautiful soft corals and nudibranchs. Whale island is a tiny island two hours north of Nha Trang.
" Nice swim throughs leading out to a beautiful soft coral garden. Loads of exotic fish that I thought I would never see. Brilliant "
" Huge area site starting at about 22 m going all the way to 5 m. schools of big fish too numerous to name; shrimp and hermit crabs abundant. Can't wait to go again. " " Dived in Cham Islands; great potential and underwater marine life; still lots of undiscovered sites. " SSI affiliated and has PADI instructors on the staff. Teach from entry level up to divemaster / DCS level. 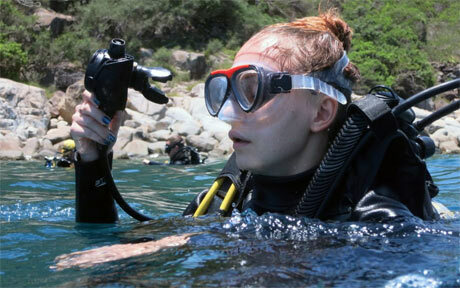 They also offer internships for dive pro training. They offer a long bottom time on each dive, free hotel pick ups from Nha Trang City Centre and lunch on the boat. Nha Trang Fun Divers has held the certificate of excellence of Trip Advisor since the start of its operation. Find them in the centre of the tourist area of Nha Trang. Dive centres in Nha Trang, Whale Island, Hoi An, Con Dao and Phu Quoc Island. Offer PADI Courses, daily dive trips, instructor training and Tec diving. Best Season: Feb - Nov, but open all year.
" Dived with Rainbow Divers in Vietnam; excellent dive operator. International dive safety awareness. Very Professional. They have centres throughout the country. " " Rainbow Divers, Nha Trang, Vietnam. I dived with a few different shops while I was in Vietnam, and while Rainbow was probably the most expensive dive shop in Vietnam it is still really good value for money. The equipment is well maintained and in great condition, the instructers and dive guides are knowledgeable, sensible and aware. This dive shop stands head and shoulders above its "competitors" in Nha Trang - I would not dive with anyone else in Vietnam. I also did a day with their Hoi An shop which I found to be of equal standards in service (however the diving in Nha Trang is much better). " " Oceans5 is the newest Instructor Training Center in Nha Trang, Vietnam. We're not the biggest Dive Center in Vietnam for a good reason, our goal is to offer a higher standard of diving to smaller groups. Complete with state of the art classroom including online learning, multimedia room, the latest dive gear from Hollis, dive computers for all of our customers and multilingual instructors. Oceans5 has an on site swimming pool surrounded by traditional Vietnamese gardens, is less than 1 minute from the beach and only 45 minutes by Oceans5 dive boat to Hon Mun Marine Park. Mission Statement:-"To offer our divers the best service using the best dive equipment and the best facilities while maintaining the highest safety and environmental standards." Our policy is to follow all local laws and adhere to, or exceed, all diving and Scuba Schools International (SSI) standards. We don't just want to teach you how to dive, we want you to be the best diver that you can possibly be. " This compact book, illustrated with vibrant 300 colour photographs, includes concise descriptions of 270 species of fish, corals and invertebrates. Clear line drawings are provided for quick identification of fish families, and a short introduction covers reef conservation and practical tips to help you get the most out of your visit to the region. Please send us your comments on Vietnam. Do you want to recommend a diving centre or dive site? Let us know. If you own a dive centre get yourself added.